Yamasthu harathi pranan, Vaidya pranan dhanani cha” -- ? The authorship of this stanza is unknown. The meaning is as follows: “ I salute the physician, who is the brother of Yamaraja (god of death). Yama takes away the pranan (lives), but the physician takes away the pranan as well as the money”. Once upon a time, the physician was considered as the ‘God apparent’ (Prathyksha deivo bhishak-Atharva veda). He was not only considered as a healer, but also as a person who is compassionate and kind to all those who approach him with different types of woes and maladies. The ‘family doctor’ system which was in vogue in the past has disappeared completely. In the present day scenario, the patient views the doctor with fear and mistrust. The doctor sees a future litigant in his patients. Many reasons can be attributed to this deplorable state of affairs. In India during the ancient historic period, ethical and legal principles concerning medical practice were based on Hindu jurisprudence which was embedded in Dharma as advocated in Vedas, and Smritis. Dharma means righteous conduct covering all aspects of life essential for the sustenance and welfare of the individual and society. Every act contrary to dharma was termed a crime or sin. The ethical principles stipulated in the ancient Ayurvedic treatises like Charaka samhitha, Ashtangahridaya, Sushruthasamhitha are based on the principles of dharma , the virtuous conduct. These principles enunciated 4000 years ago still holds good. Charaka was the first physician to declare the ethical principles in the practice of medicine. He has stated that ‘chikitsitham punythamam nah kinchith’- nothing is holier than medical treatment. There are several quotes to his credit. (The essential qualities of a doctor are love and compassion towards the patients, confidence in diagnosis and treatment, at the same time honouring the rules of nature). Hippocrates (460-377 BC) is considered as the father of modern medicine. He was the most celebrated physician who practiced medicine in the island of Cos in Greece. Hippocratic Oath is a code of moral principles. The principles of medical ethics declared in the Hippocratic oath are worthy of emulation for all those who practice medicine. Now it has become just a ritual to recite the oath when a person enters the portals of medicine. All the ethical principles have been codified by the Indian Medical Council and notified as regulations in the year 2002. At the time of registration every medical practitioner has to sign a declaration to the effect that he/she will abide by the regulations. The main drawback is that these rules are not enforceable by law. State medical Councils concerned can take cognizance of the objectionable practices and violation of the rules; but it is seldom done. The council does not, suo mottu takes notice of violations. The complaints received are enquired into by a disciplinary committee. Physician found guilty of the charges are either given a warning notice or erasure of the registration from the register temporarily or permanently. It is certain that cases enquired by all the councils in all the states can be counted by fingers. Gross violations of medical ethics has its origin many years back. During the Second World War, Nazi doctors had conducted medical experiments on the prisoners in the notorious German concentration camps (1939-1945). Apart from murdering hundreds of thousands of aged, incurably ill and disabled persons, these doctors had performed many inhuman experiments on the victims. The prisoners were exposed to freezing temperature, highly toxic mustard gas, malaria parasites and various types of poisons. They had even conducted anatomical and anthropological studies after killing the defenceless persons. After the war, many of those doctors were tried and convicted in the Nuremberg trials. The war tribunal condemned those crimes against humanity committed in the name of medical research. The Nuremberg proceedings led to the genesis of the famous Nuremberg Code (1947) emanating moral, ethical and legal principles to regulate medical research. Even after half a century the ten principles of Nuremberg code hold good. While the Nazi medical crimes were being condemned as crimes against humanity by the American Tribunal, another notorious violation of human rights was going on in the United States. The United States Public Health Service had initiated a long term study in a group of 400 black men with syphilis in the Tuskegee Institute, the famous black University founded by Booker T Washington. The study was initiated in 1930 as an examination of the natural progress of initiated syphilis. These men were recruited for the study without informed consent. The researchers did not disclose the nature of the study to the participants. They were not given any specific treatment for syphilis. They were deceived by giving aspirin tablets as the drug of choice. This study lasted for forty years. Even the Surgeon general of United States was involved in these inhuman activities. All the participants developed complications of syphilis in due course and majority died. Human experiments worse than Tuskegee trial had been conducted in the U.S. After the second World War, thousands of U.S citizens became the victims of highly secret and classified radiation experiments conducted by the U.S Atomic Energy Commission, departments of defense and health. Millions of people were exposed to radio-active fallout from the testing of hundreds of nuclear weapons. Scientists and doctors were spreading disinformation and made public to believe that “exposure to a little radiation is good for the body”. The fact that radiation from the nuclear fallout could lead to increased risk of very serious conditions like cancer, senility, genetic mutations etc. was totally ignored. In order to keep these studies secret, persons admitted in hospitals with radiation illness were diagnosed as ‘neurotic’. During the cold war years from 1944 to 1974, many unethical and inhuman radiation experiments had been conducted. Scientists were secretly using human beings as guinea pigs. Plutonium, an ingredient of atomic bomb, a highly toxic substance was injected into several persons. Cancer patients and prisoners were subjected to whole body radiation. Pregnant women were given radio active iron to study the effects on the foetus. The list includes many more inhuman activities. The amazing fact is that these atrocities were conducted in the famous medical institutions and universities of United States. Law suits filed against the Government were dismissed by the Federal Court. The finding of the court was that Government is immune from lawsuits. For more than twenty years, the law allowed the U.S Defence Department to conduct unethical biomedical research. Under immense public pressure, the law was repealed in 1998. In 1963, studies were undertaken at the Jewish chronic diseases hospital, New York to gather information about the nature of the rejection process of human organ transplants. Without consent, live cancer cells were injected into patients who were hospitalised for various chronic debilitating diseases. The patients were told that they were receiving a skin test !!. This fraud was revealed later and two physicians who conducted the ‘research’ were prosecuted on the grounds of fraud, and unethical practice. The defence of the doctors was that they were trying to do good and ‘any how the patients were dying’. Another study which was going on during the same period in an institute of mentally defective persons was even worse. The purpose of the study was to find out the pathogenesis of infective hepatitis and the effect of gamma globulin in preventing or ameliorating the disease. The participants, mentally retarded children were deliberately infected with hepatitis virus by feeding them the stools of infected persons. Later the children were given injections of purified virus preparation. The authorities refused to admit new cases of mentally retarded children to the institution unless the parents agreed to their participation in the studies. Ethical violations in the present. India is a fertile ground for multinational pharmaceutical companies to conduct unethical and clandestine biomedical research and drug trials. Poor, illiterate unsuspecting people are used as guinea pigs. All principles of medical ethics are flouted. The giant multinational pharma companies choose third world countries like India for drug trials because it is expensive and difficult to get volunteers in western countries to undergo hazardous drug trials. The subjects are poor and illiterate .The laws in these countries are very lax. The bureaucrats are corrupt and obliging. The doctors and the corporate hospitals are fund-greedy. The companies give attractive remuneration and incentives to the ‘researchers’! Proper consent are not obtained before the study. Illiterate participants are asked to sign the consent form written in English. In some hospitals the patients do not know that they are being subjected to drug trial. They may have to pay for the drug tried on their system. No insurance coverage is given for the subjects. They have to even bear the hospital expenses for the treatment of complications arising out of the inadvertent drug trial. Drug trials were conducted in a Cancer Centre. A banned chemical named M4N was injected into the tumours of 26 cancer patients without informed consent and without obtaining sanction from Drugs Controller General of India.. All of them died subsequently (1999 2000). Eight persons died in Hyderabad following administration of recombinant streptokinase in a drug trial sponsored by a Pharmaceutical firm without obtaining permission from DCGI. More than 400 women in Mumbai were used as guinea pigs to test an anticancer drug ‘Leptrazole’ which can help in ovulation. The trials were sponsored by an MNC and were illegal. Erythromycin was inserted in the uteri of 790 poor, illiterate women in rural west Bengal to test its contraceptive effect. Two doctors, sponsored by the drug company, were doing the study illegally. Poor patients in public hospitals are subjected to questionable research. One eye clinic in Hyderabad has been doing stem cell treatment for retinitis pigmentosa and damaged cornea since 2001. Another hospital in Mumbai has been treating patients with aplastic anemia with stem cells. One Heart Institute was doing stem cell treatment in myocardial infarction. A US based company made a tie up with a State Government for starting a cord blood centre. Even the highest institute in the capital is doing Stem Cell treatment by ‘injection’ method to patients with diabetes, muscular dystrophy etc. From the high pedestal of God apparent, the doctor has degenerated into a commission agent. He obtains commission from all the ancillary medical services and facilities such as clinical laboratories, CT/MRI/PET scan centres, pharama companies, laboratory supplies, prosthetic manufacturers and even from the undertaker and coffin -maker who assists in embalming dead bodies.!!. A doctor receives commission for referring a patient to a super speciality hospital for a major surgery or procedure. For referring a patient for coronary bye pass grafting which costs anything from 1.5 to 4 lakhs, reference commission is minimum Rs 25000/- Apart from money favours are received in the form of automobiles, household articles, airfare and expenses for leisure trips in foreign destinations. Subsection 6.4.1 and 6.4.2 of the MCI Regulations stipulate that these are highly unethical practices. Section 6.8 stipulates the code of conduct for doctors in their relationship with pharmaceutical and allied health sector industry. A medical practitioner shall not receive any gift, travel facility, hospitality or cash from any pharmaceutical or allied health care industry and their sales people or representatives for self and family members under any pretext. Funding for medical research, study etc can only be received through approved institutions by modalities laid down by law/rules/guidelines adopted by such approved institutions, in a transparent manner. It shall always be fully disclosed. In many hospitals doctors are given cuts for the surgical and other procedures they perform apart from the regular salary. They also receive incentives for conducting costly investigations like CT/MRI scans. A sort of financial auditing is conducted every month in some corporate hospitals and those doctors who do not generate substantial income are served with memo’s. Even the judicious doctors are compelled to order unnecessary investigations and procedures for the patients. There are thousands of manufacturers of substandard drugs, implements and prosthetics. These firms supply drugs to hospitals at a very cheap rate. But the ‘maximum retail price (MRP) printed in the foils and wrappers will be many fold. It is understood that the MRP is usually 10 times the cost of manufacturing. Many doctors and hospitals promote these drugs and allied gadgets for treatment. The pharmacies of many corporate hospitals promote the sale of these spurious drugs. The management insist that the doctors in their pay roll shall prescribe in generic name of the drug. At the same time there is no drug formulary and substandard drugs are stored for distribution. Nowadays cheap Chinese prosthetics including coronary artery stents are available in the market. These are sold as costly US prosthetics and coronary artery stents. The patients both outpatients and inpatients have to compulsorily purchase these spurious materials. It is the identification, analysis and resolution of moral problems that arise in the care of patients. Prima facie, there are four principles that govern medical practice. They are autonomy, beneficence, non – maleficence and justice. Autonomy is the duty to respect the right of the patient for self determination. Beneficence refers to the duty to do good, Duty to prevent harm is non maleficence. Justice refers to the duty to treat all patients fairly and free of bias. 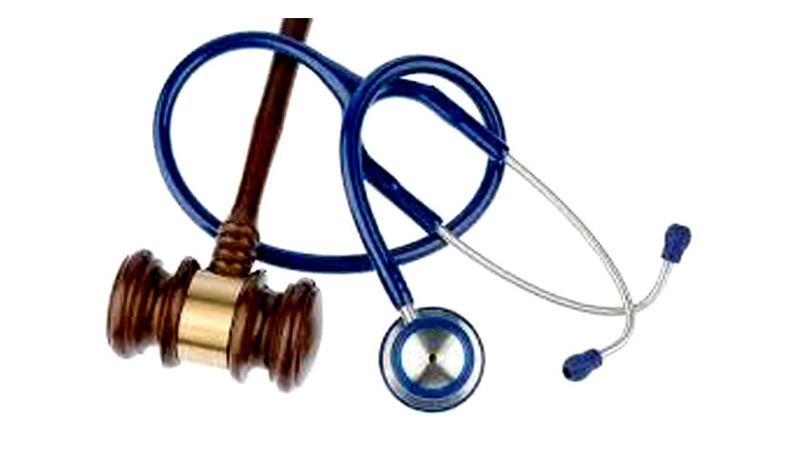 In the case of patient’s care, other ethico-legal issues like assessment of the competence of the patient and capacity to make decisions, identification of the decision makers, resolution of conflicts about care, disclosure of information, decisions about long-term care and termination of treatment at the end of life are also involved. The fact that the patients, especially the elderly often lack the support of family and friends makes them vulnerable to the automatic and sometimes un thoughtful process of the health care system. A competent patient has the right to determine what shall be done with his own body. Self determination is the foundation of the legal and ethical doctrine of informed consent. Decision is taken after a discussion with the physician who informs the patient of the risks and benefits of treatment, alternatives and consequence of refusal. Law requires that written informed consent of capacitated and competent patient is required for all invasive medical interventions. The patient's consent is ethically valid and legally binding. The patient has the legal and ethical right to refuse care even if the likely outcome of the refusal is death. The physician is legally and ethically obligated to promote this right of all patients. It is ethically and legally permissible for the competent patients to refuse medical interventions. Physicians have to respect their decisions even though it is against the principles of ‘beneficence and non maleficence’. However the physician should ensure that the patient is well informed about the treatment procedure and there is no misunderstanding resulting in refusal of care. In the best interest of the patient, the physician can encourage him to accept the therapeutic plan but should not compel or coerce. A patient's refusal of treatment does not constitute attempted suicide as subsequent death is considered to result from the underlying disease process. Many of the above mentioned ethical principles are not applied in our medical practice. Unlike western countries, the end-of-life issues affect many patients and families very badly emotionally and financially. Modern intensive care is expensive and available only in the tertiary care hospitals in the Government sector and super speciality hospitals in the private sector. Therefore the medical profession has a responsibility to use the modern life sustenance devices and technology wisely, compassionately, and honestly, recognizing its limitations. It is better to avoid some of the ineffective medical practices in the use of life-support technologies instead of abruptly (illegally!) discontinuing mechanical ventilation and withdrawing life-support systems when families are unable to pay for medical care, Doctors should be aware of the pain and suffering caused by new technologies and avoid some of the ineffective medical practices in the use of life-support technologies. They should advise the patients and their families about initiation and withdrawal of treatments. The aim of physician should be focussed on diminishing pain and suffering of the patient. Another practice followed in some private hospitals is to send a dying patient home after noting in the medical records that the patient “left against medical advice” when the relatives cannot afford to pay hospital charges for the continued care. This is to absolve from the accusation of withdrawal of treatment and future litigations. When the survival is remote and death is inevitable, it is better not to initiate costly treatment and withdraw it later. Unfortunately we have dearth of facilities like hospices to provide long term care for the terminally ill and dying patients. They are living wills containing treatment preferences to be honoured in the future when capacity of the person has lapsed. .According to Indian Penal Code (Sec: 92) consent is not required in emergencies for preservation of life. Clinical conditions (which are not emergencies) involving incapacitated and incompetent patients pose the problem of decision making. The aim of a living will is to ensure that invasive, aggressive, and life-sustaining treatments will not be used if they would merely prolong life or support a vegetative state. It will protect the autonomy of the patient. Advanced directives contain a list of interventions and other actions that should or should not be undertaken when the patient becomes incompetent or terminally ill. It can also point out surrogate decision makers. It is high time that this procedure should be legalised in our country too. If the patient is incapacitated and no advance directive exists, a surrogate person must provide the direction. Most physicians accept consent to provide care from a spouse, an adult child, a close friend, a clergy member, or even a distant and uninvolved relative. But none of these persons is legally empowered to consent on a patient's behalf unless appointed by a court. Again this is a grey area as there is no such provision in our existing laws. However, a judicious decision agreed on by hospital, physician, and family may be legally adequate if challenged. (Your money.your status and whatever you do will never save you when Kala (Yama) arrives. Dr. Umadethan is a Professor & Head, Dept of Forensic Medicine, Amrita Institute of Medical Sciences. Kochi. Formerly Director of Medical Education, Kerala & Medico legal Adviser to Kerala Police. Belmont Report- National commission for the protection of human subjects of biomedical and behavioural research. Ethical guidelines for biomedical research on human subjects 2000 Indian Council of Medical Research. Kotabagi RB 2004 Emergence of new legal and ethical dilemmas in medical field MJAFI,60:324. Mehta HS 1963 Medical law and ethics in India, 1st Ed. Kothari Books. The Indian medical council Act-1956 Universal Law Publishers-2003.